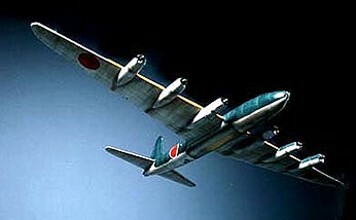 In 1943, as the war situation worsened, Nakajima sought to develop a very long-range, super heavy bomber which could be able to carry 11000 lbs bomb load into U.S. air-field, where they could mount bombing raids against targets along America's western seaboard. The project in-house named "Z-bomber". The project impressed the Japanese Army and Navy. With the supports from military, Nakajima finalized the specification of the bomber, designated G10N1 Fugaku. Initially, Nakajima planned to use the powerful Nakajima Ha-44 36-cylinder radial engine, mounting three per wing, each would reach 5,000hp. However, it was to be seen that the Ha-44 was too complex, and it would not be available in any reliable form. As the Z-project could not wait for them to be ready, six Mitsubishi Ha-50 radials would have to be used instead. In February 1944, after US Marines captured Iwo Jima, Nakajima was ordered to stop any development of bomber, that would not interfered with fighter plane production. 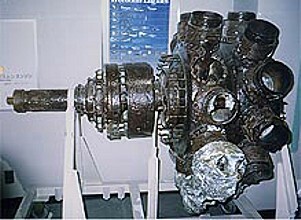 In 1979, an Ha-50 engine was found and unearthed during expansion of Tokyo Haneda airport, and now it is on display at the Narita Aerospace museum. 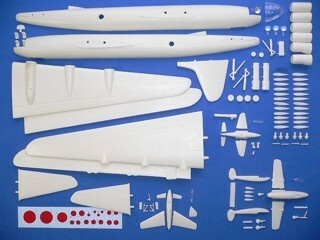 The Nakajima G10N1 is suitable to group with the following collection series.